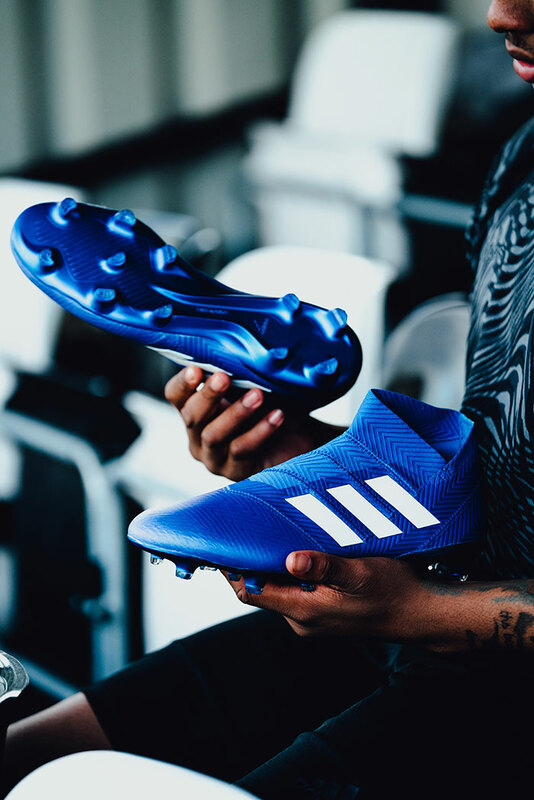 Adidas has revealed the latest boot collection, the new Adidas Team Mode pack introduces bold and vibrant looks to start the new season. 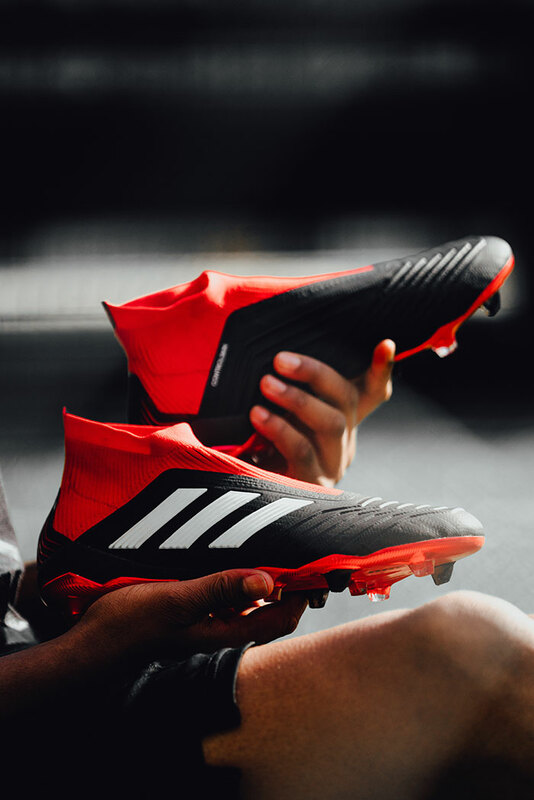 The Predator brings back the iconic black-red-white colourway, whilst the X is yellow and black. 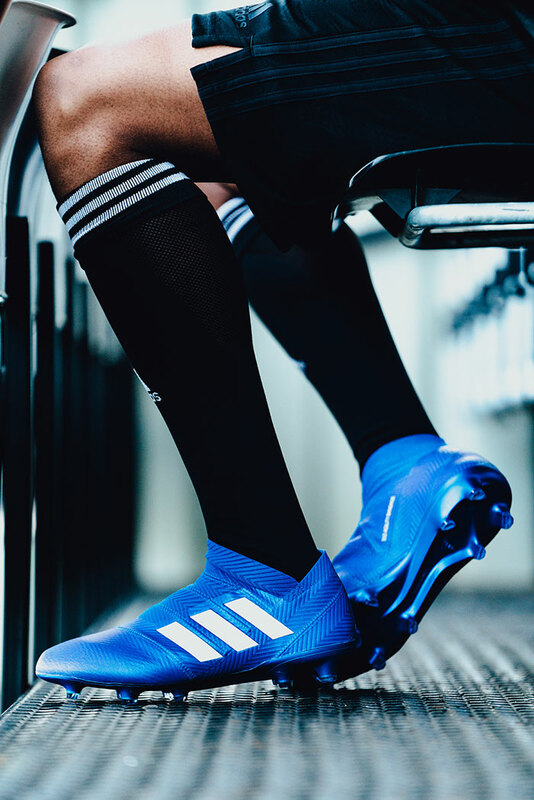 The Nemeziz is almost completely blue and the Nemeziz Messi is split between blue in the back and white in the front. The silver-metallic Copa completes the collection. 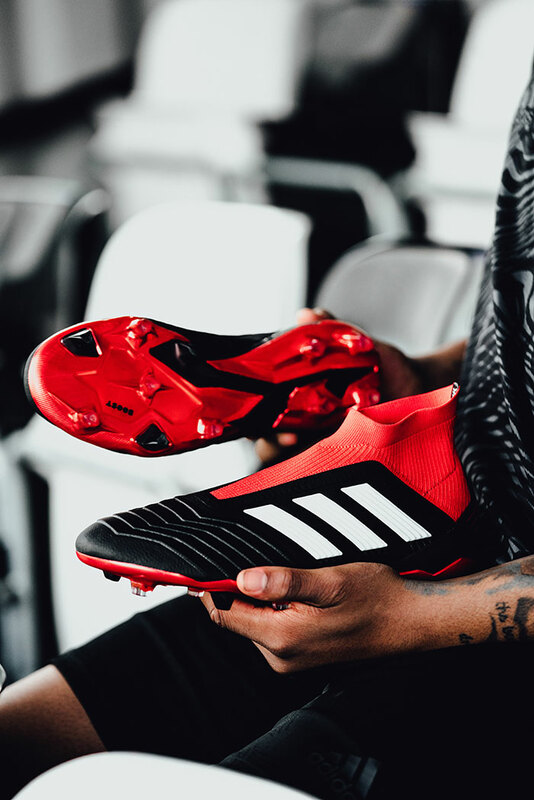 The Team Mode Predator 18+ comes in a classic black, red and white Predator colourway and will be worn by some of the game’s biggest players at the start of the season. 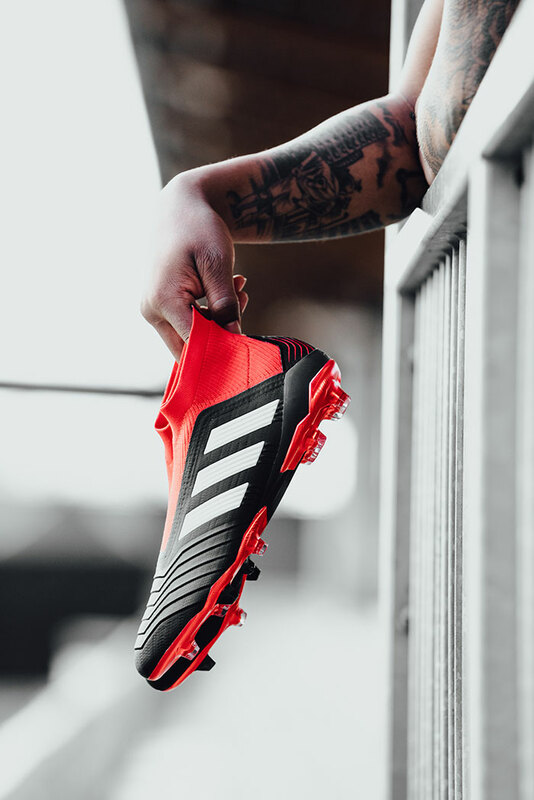 The Predator 18+ features a PURECUT LACELESS system to deliver maximum surface control. A FORGED KNIT integrated midfoot structure creates medial and lateral stability while a full length BOOST™ midsole provides energy return with every step. 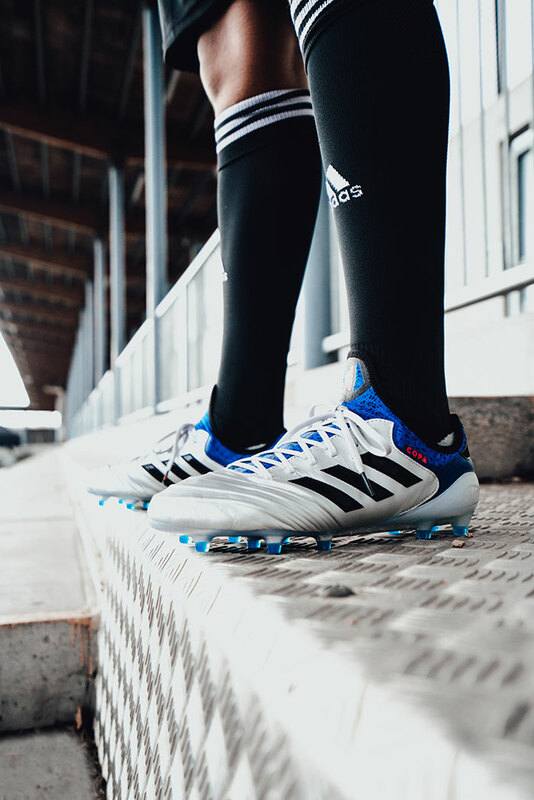 The Energy Mode Predator 18+ is also available as a cage shoe. 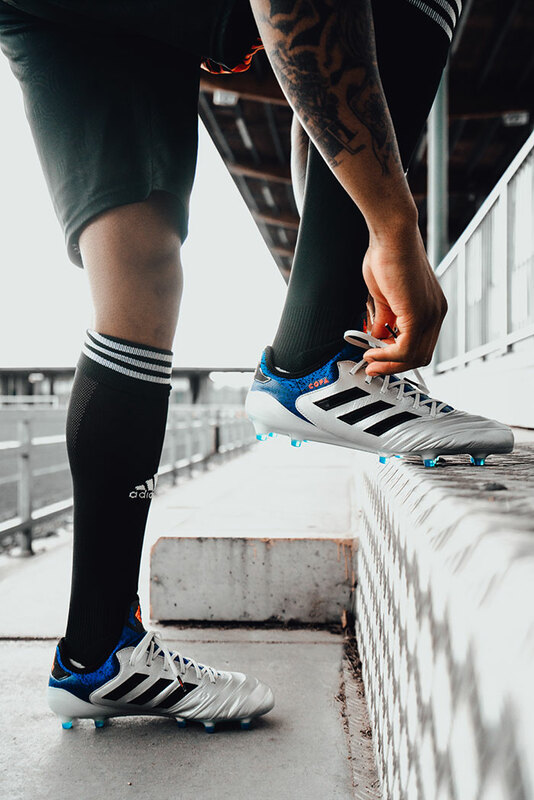 The cage version features the same SOCKFIT COLLAR construction, PURECUT LACELESS upper and CONTROLSKIN as the on-pitch boot; along with a full length BOOST™ midsole and traction studs. The Predator shoe also comes in a lifestyle remake, taking it from the stadium to the street. 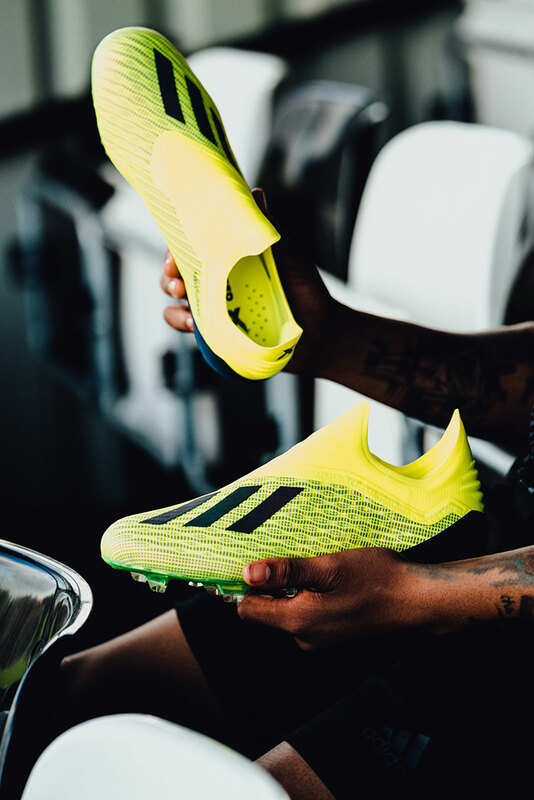 The boot comes in a striking yellow, black and blue colourway. A SPEEDFRAME outsole features lightweight, Drillium engineered tooling and minimalistic construction while a 3D MOULDED HEEL provides a snug and stable fit – designed to lock the foot in place during acceleration. 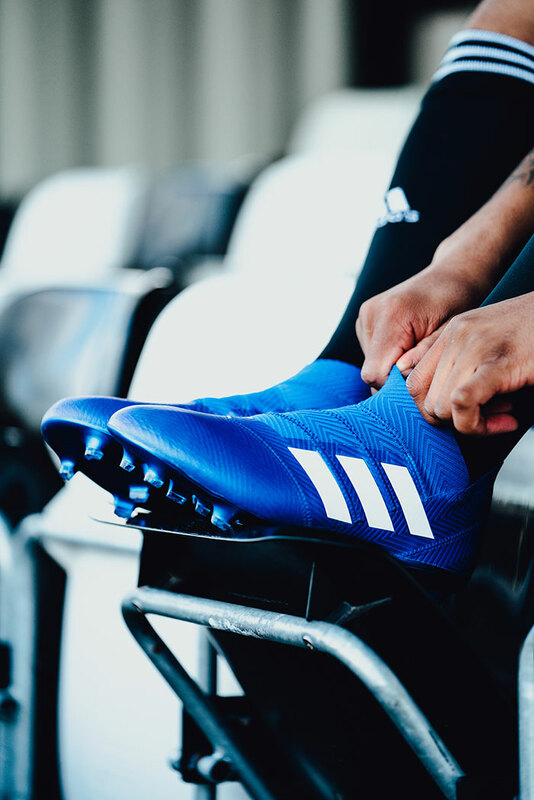 Coming in a new blue and white colourway, the boot will be worn on pitch by some of adidas’ biggest players at the start of the 2018/19 season, including Alvaro Morata, Jesse Lingard and Roberto Firmino. 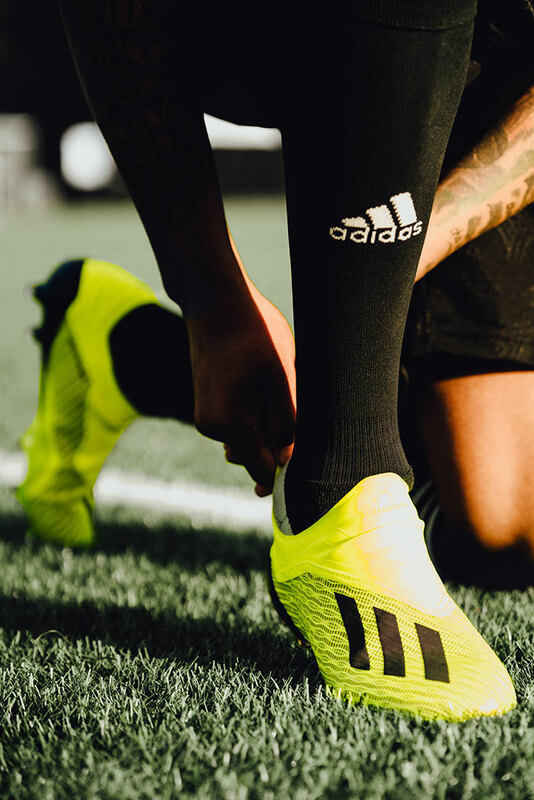 Designed to enhance the performance of the game’s most agile players, the latest NEMEZIZ colourway includes an AGILITYBANDAGE with TORSIONTAPES technology, providing ultimate lockdown of the foot. A dual-lock collar secures the ankle and allows for explosive change of direction while an AGILITYKNIT 2.0 interlocking yarn structure provides a soft direct touch and a lightweight feel. 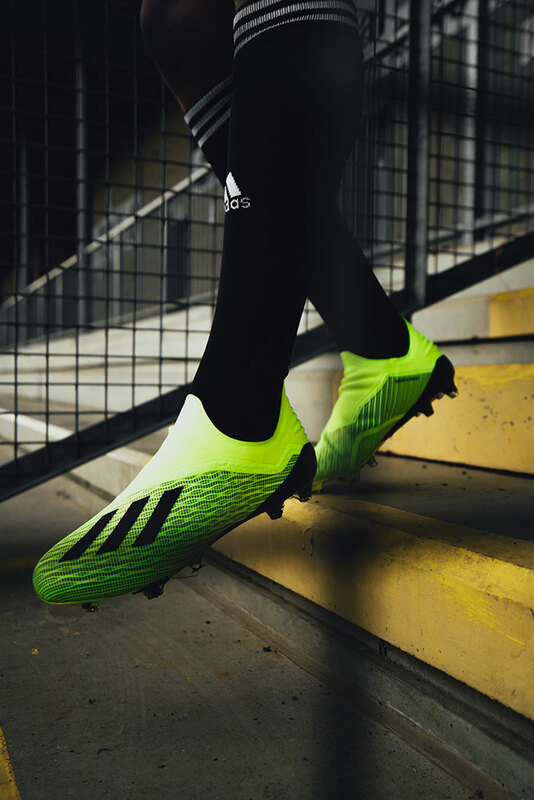 Energy Mode NEMEZIZ 18+ is also available in Cage and Street versions. Featuring the same blue and white colouring as the on-pitch boot, both shoes include the same performance technology. 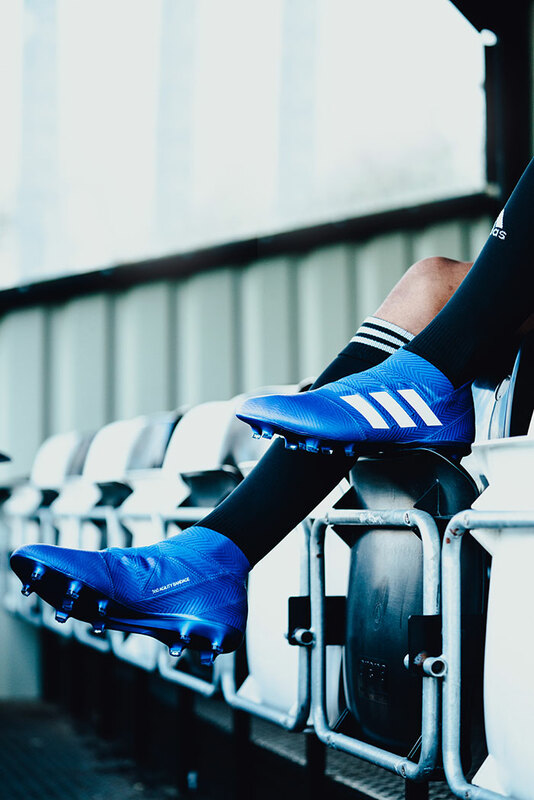 The latest colourway in the COPA franchise. 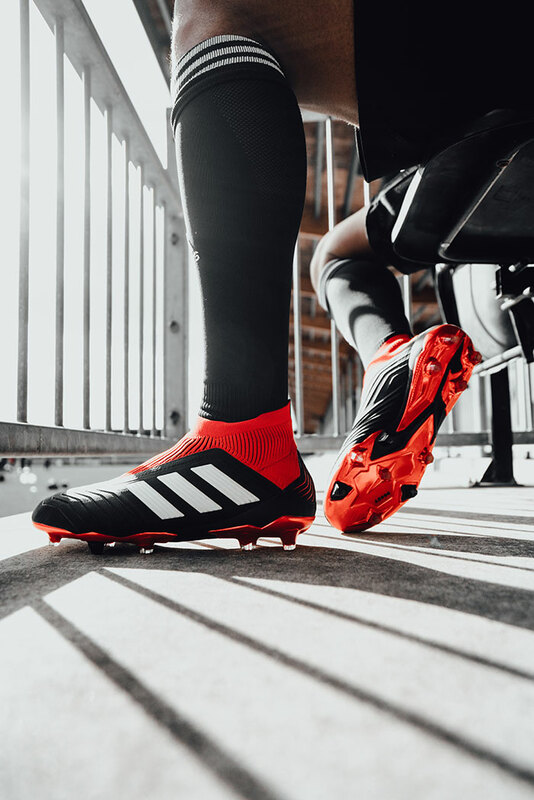 Originally launched in the late ‘70s with the Mundial, the COPA franchise has outclassed oppositions all over the world for the last 38 years. 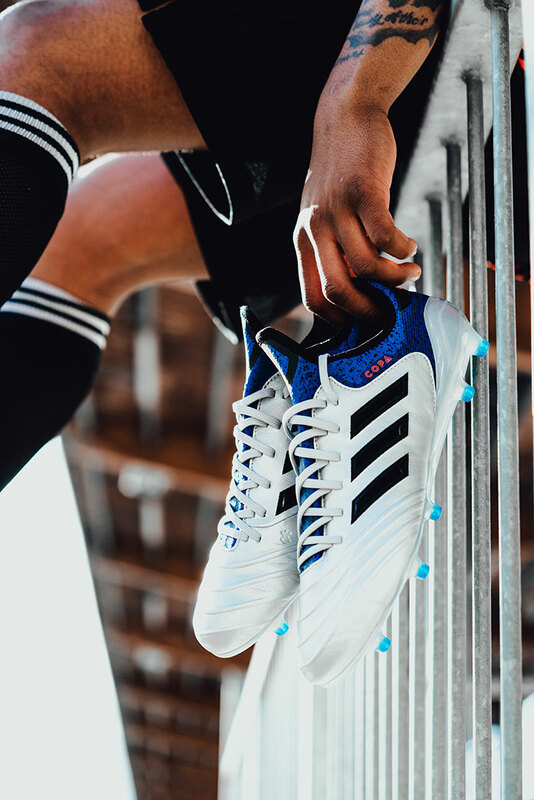 The Team Mode COPA18 arrives in a bold silver, blue and red colourway and benefits from the most advanced performance materials, combining a Leather Embossed Vamp and innovative Sock Construction System. It features a premium K-leather upper and X-Ray Vamp Cage to deliver close control by reducing slippage. A Compression Fold-Over Tongue provides improved supportive fit and stability. The Comfort Internal Construction features foam pads and the new Ortholite Sockliner offers an enhanced cushioning experience for unmatched comfort. 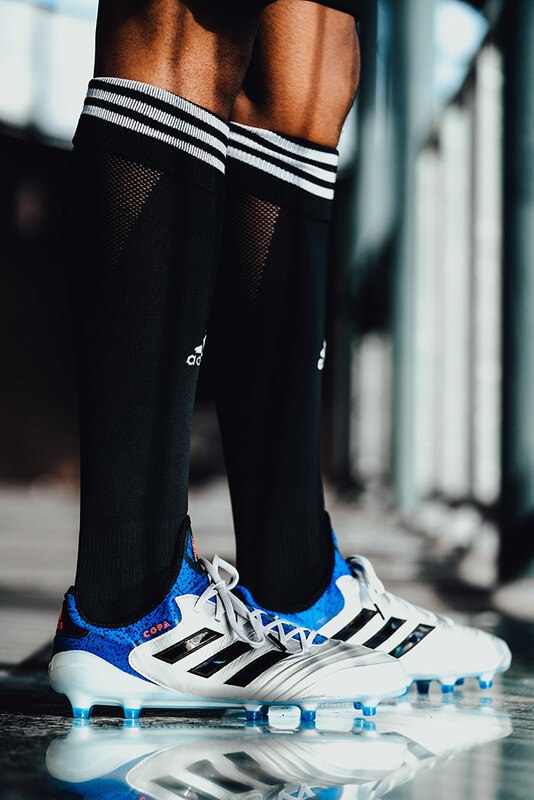 Team Mode COPA18 is also available in a cage shoe and features the same fold-over tongue, compression sock construction and premium K-leather upper as the on-pitch boot. A BOOST™ midsole, EVA strip and rubber outsole provides the tools required to dominate the cage. 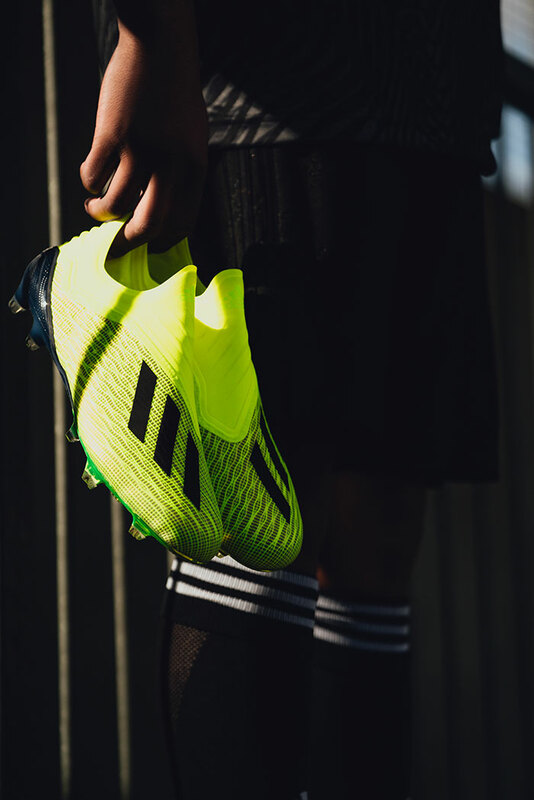 The boots are now available on Adidas Football and selected retails with the rest getting them on August 2nd.